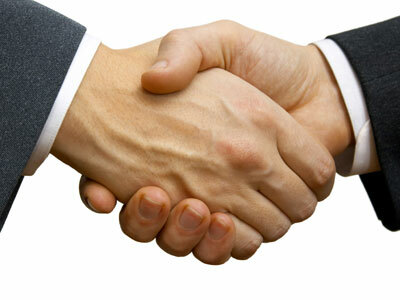 We are a skilled and very experienced franchise consultant team. The competition levels in every industry are on the rise and it’s the same in the franchising industry too. It’s extremely important to use the right marketing techniques, and it’s probably even more important to get your branding concepts right. This is where our excellent franchise consultation services come in. Many entrepreneurs wonder whether they really need to hire the services of a franchise consultant. You wouldn’t hack through the jungle without a guide, and the franchise industry is one big jungle! You benefit from the decades of experience the consultant has. A franchise consultant will provide you with sound advice and a 360 degree view of all the aspects of this business. It helps you make more well-informed decisions when you are starting off on your franchise venture. The consultant has the ability to customise their service to help you launch & maintain a highly sustainable licensing program. Having experienced professionals to guide you helps you expand your branding into various markets, categories, sectors and countries. You will get objective advice from an industry expert franchise consultant. We’re trained to help you to avoid the pitfalls that most generally face. Experienced franchise consultants are also aware about which opportunities are actually time-tested and proven- this gives you your best chance of success. The professional will spend a significant amount of time in helping you ascertain what your business goals and interests are; and will also help you identify where your strengths and weaknesses lie. This goes a long way in helping you decide which kind of business you would be able to make a success of. Once you step into this space, you will receive a large number of queries from potential franchisees. An experienced franchise consultant will help you screen potential candidates and this will help bring well-matched and qualified prospects to you. A well-connected consultant also has the connections that will help you get an interview very quickly with all the right people. This saves you a lot of time and you can make your decision much more quickly. Going through all the technicalities and modalities of launching and running a franchise ownership can be quite overwhelming. However, when you have a franchise consultant by your side, you use the support and advice you need at the time you need it. In short, your franchise consultant will be your guide, your sounding board and your advisor and he/she will also keep you well grounded. All of this is extremely important when you are planning on starting a franchise business. This sets you on the right track from the outset and helps you avoid expensive errors. For any more information about how a franchise consultant can help you, use 01274 662001 phone number. You can also write to Lime Licensing Group via this online form.